Rupert Sutton was previously a senior executive with Nestle in Europe, Japan and SE Asia and subsequently consulted for a wide range of global and regional companies plus Government agencies and banks on new international business development and expansion. Rupert is also an entrepreneur and has started a successful health food business in Thailand. 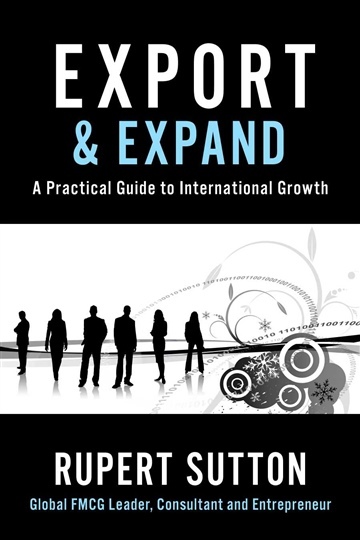 Export and Expand is based around Rupert's Export Roadmap and contains practical tools and techniques to build and grow an international business. Rupert is an FMCG (fast moving consumer goods) Management Consultant, Entrepreneur and Commercial Director with 20 years Asia experience. He is an expert in insights, marketing strategy, innovation and capability development and works with leading multinational clients in Asia on market entry and expansion.